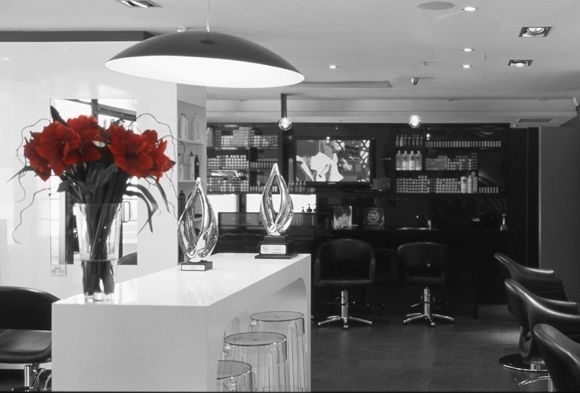 Welcome to Intershape Hair, a premium salon destination in Sydney’s eastern suburbs. Intershape is an award-winning, hair salon where uniquely personalized service meets a chic and relaxed environment to create a truly memorable experience. Intershape opened in 2000 and has since built a reputation on exceptional customer service, creative flare and Award winning Hair Stylists. .
From trims to total makeovers to wedding hair and cutting edge, catwalk-ready styles, Intershape’s fashion forward team provide high caliber services including in-depth consultations, specialised cuts, hair colouring, extensions and Keratin straightening. OUR AIM IS TO UNIQUELY PERSONALISED SERVICE MEETS A CHIC AND RELAXED ENVIRONMENT TO CREATE A TRULY MEMORABLE EXPERIENCE. WE ARE PROFESSIONALS WHO HAVE THE UPMOST RESPECT FOR OUR CRAFT AND ARE COMMITTED TO BRING THE VERY BEST AT IT, SURRENDERING COMPLETELY TO OUR ART AND BEING PASSIONATELY CREATIVE THROUGH THE JOURNEY OF OUR LIFE’S WORK. WELCOME TO A WORLD OF HAIR.